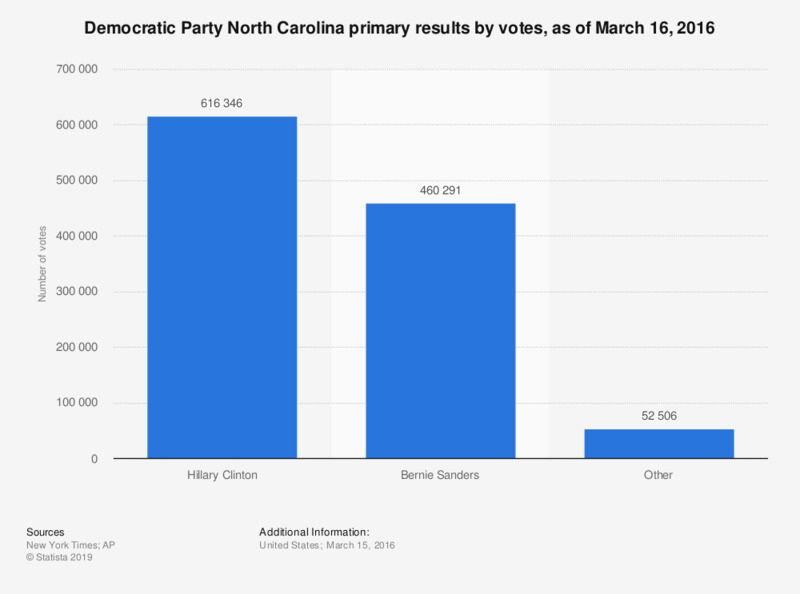 This statistic shows the number of votes each candidate received in the Democratic Party North Carolina primary held on March 15, 2016. As of March 16, 2016, the candidate with the highest number of votes was Hillary Clinton with 616,346 votes, roughly 55 percent. Total votes: 616,346; 100 percent reporting.